Play Inc is all about the comercialisation of childhood; the idea that rewarding play can only come from bought toys or experiences. To be honest, I was feeling pretty smug about this one. After all, Tom is only one. He doesn’t watch tv, so no adverts, and has only a limited number of toys (mainly of the wooden, educational kind, so of course he doesn’t play with them). But closer examination reveals that a bit of commercialisation has sneaked in. Despite my general desire to avoid ‘brand’ items, Tom actually has a number of items of clothing with popular tv characters. Even worse, several of these depict Mickey Mouse, showing Disney really do get a foothold everywhere (the damn mouse is on two pairs of pjs and his dressing gown, all part of a bundle I got on eBay and didn’t check properly before bidding). He also has a couple of Thomas the Tank Engine things, an inevitable consequence of his name. I guess I didn’t think these things would be a problem. A few months ago, Tom showed no signs of recognising symbols and I thought he’d grow out of the clothes before they could have an influence. But already he’s beginning to put stuff together – he pulls out his highchair when he sees me getting his plate out, for example. How long will it be before he starts to recognise the mouse from his pjs on items in shops? I know that, no matter how hard we try, Tom is going to spend his life exposed to all sorts of advertising and brand names. But I’ll try to limit it as much as I can. First step? Those damn Mickey Mouse pjs are going to the charity shop. At least there are no bulletin boards in the wild! 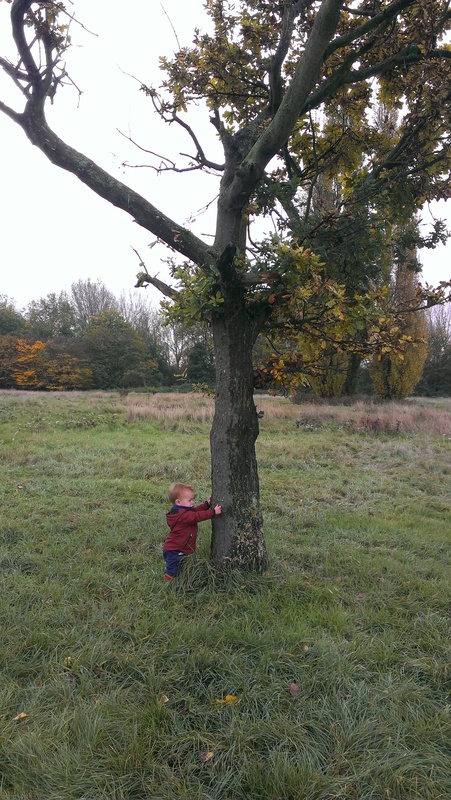 Posted on October 30, 2015 December 18, 2015 by LucyPosted in Food for Thought, Parenting, Wild TimeTagged advertising, barriers to wild time, commercialisation, Disney, free play, Play Inc.